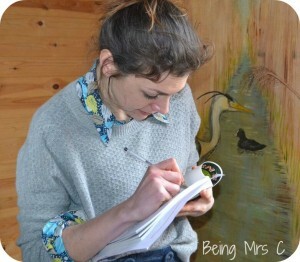 With a daughter who currently has her heart set on being “a nature explorer who also is an artist” an invitation to the RSPB reserve at Rainham Marshes to meet Hattie Garlick, author of the wonderful new book Born To Be Wild, was absolutely perfect. 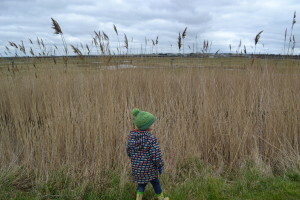 Both kids love being out in the fresh air, but Little Miss C really gets a buzz from doing nature based things outside. At school she seems to spend hours and hours in the playground building bug hotels and feeding snails and when inside she’s always happiest when sat at the kitchen table with some gloopy glue and a load of stuff to stick together. 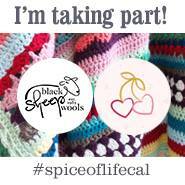 I was really excited therefore to hear about Hattie’s book and to be able to take part in some activities with her and the kids. 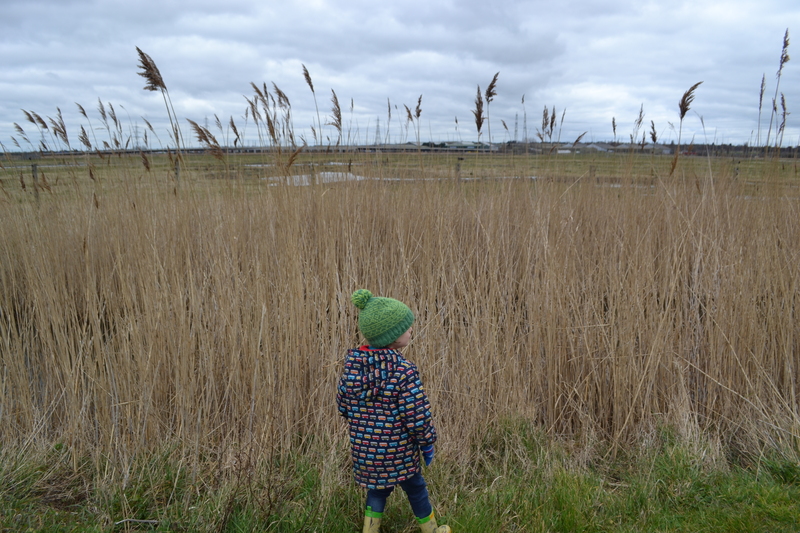 The RSPB’s Rainham Marshes reserve has a very different feel to it from the other RSPB reserves that we have visited over the years. Situated right next to the River Thames, these medieval marshes were actually closed to the public for over 100 as they were used as a military firing range! The RSPB has only had the site for just over 15 years and in that time they have transformed it into a haven for wildlife, and in particular somewhere that water voles seem to love. The whole place as a slightly strange exposed feel to it. Ancient, yet missed with industrial. Certainly it’s the only place where one moment you’re pointing out a coot to the kids and the next pointing out a passing Eurostar on its way to the channel tunnel. 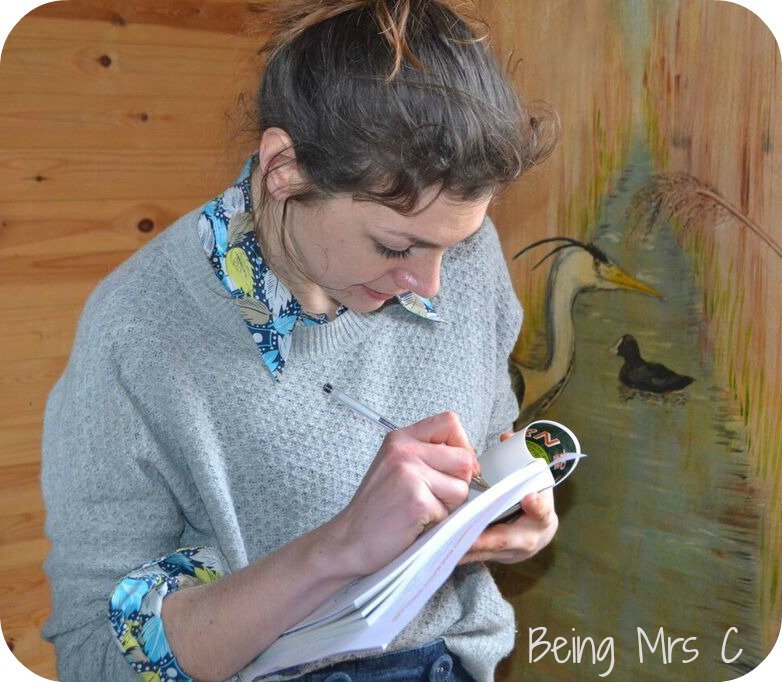 After a few words about the reserve from RSPB staff and an introduction from Hattie about Born To Be Wild and her motivation to write it, we were straight into a spot of pond dipping. 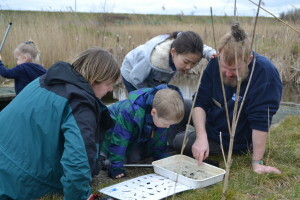 The reserve has some great areas around their education centre where kids can get close to the water with a net and a plastic tray to see what they can find. 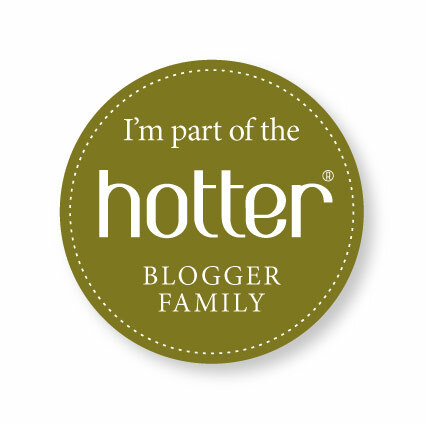 Unfortunately the cold weather (and boy was it freezing the day we visited!) meant that there was not much hiding under the surface of the water, but that didn’t deter the kids from having an absolute ball searching. Back inside, and out of the biting wind, the next challenge was to make Easter trees. Never before have I seen children attack glue, glitter and paint with quite so much enthusiasm! 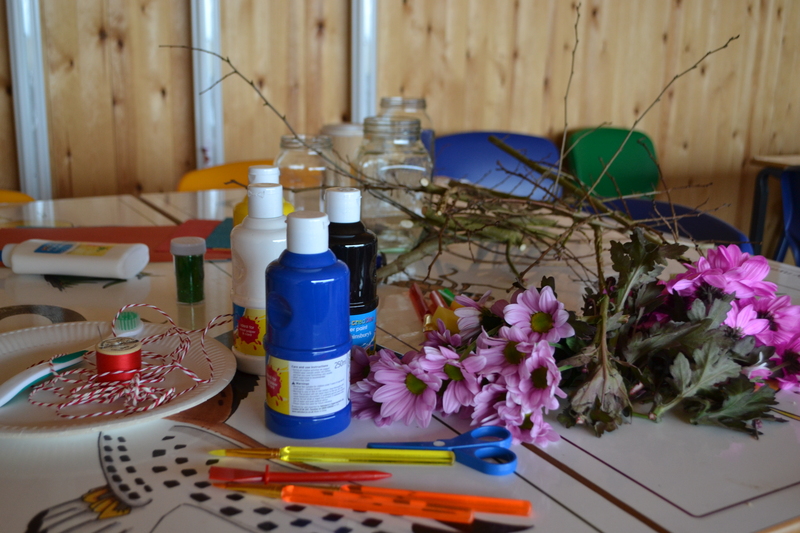 Branches were painted, had flowers and ribbons attached and glitter applied generously. 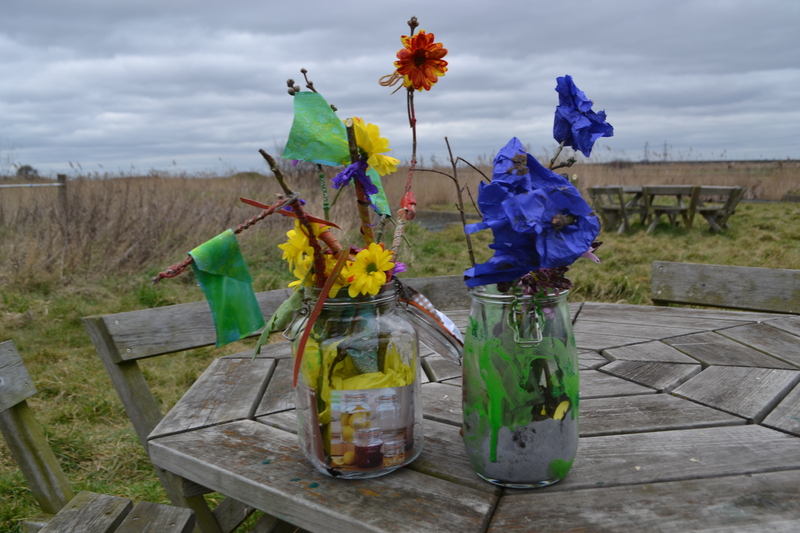 The jars they went in were decorated just as lavishly until each family had created an Easter Tree. I’ve never actually seen the kids work on something together quite so well. Obviously all that fresh air did them the world of good first. 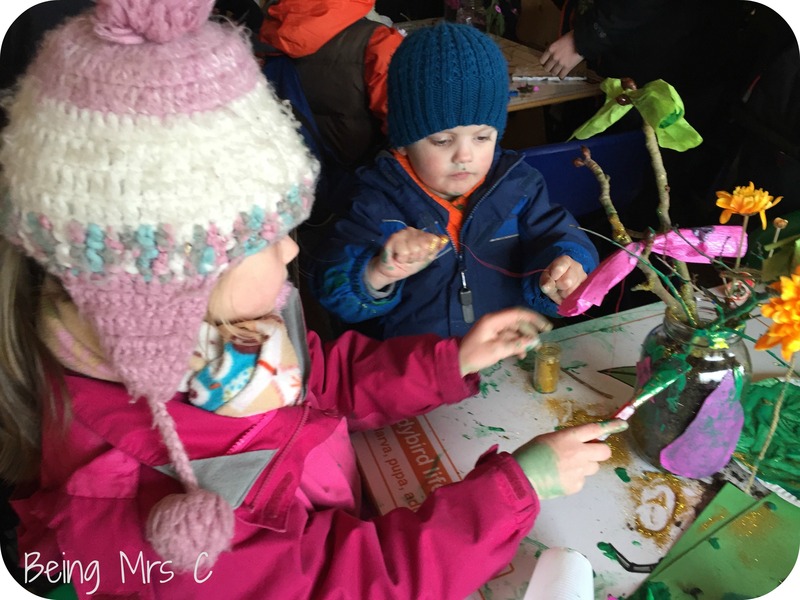 Making Easter trees like this isn’t rocket science, but that’s the whole point of so many of the wonderful activities in Born To Be Wild. You don’t need that much to be able to do them, but they are really effective and kids love doing them. They’re not exactly harmful from an educational and developmental viewpoint either. 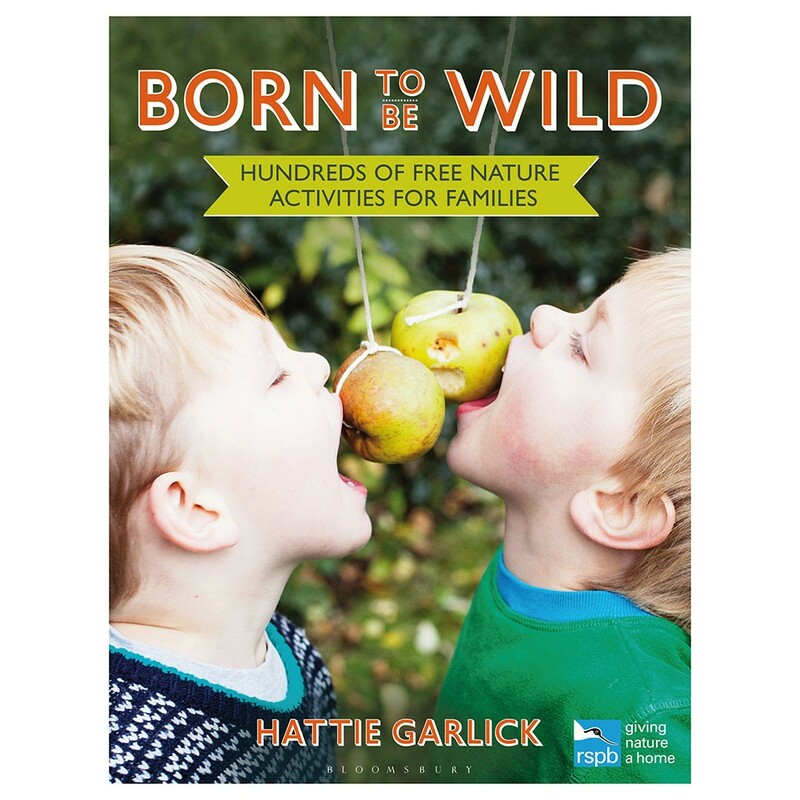 After the event I sat down with my copy of Born To Be Wild (signed – thank you Hattie) and a cuppa and went through it properly and to be honest I was blown away by just how many activities are packed into it. All arranged by season (brilliant – this is the second book I’ve reviewed recently like this and I love it) making it super quick and easy to find something suitable to do, there are lovely pictures of Hattie’s family and others enjoying some of the activities, but this isn’t just a book with lots of nice pictures. Oh no. 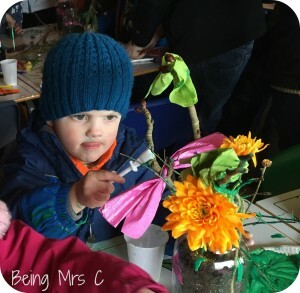 Instead there is loads of practical information, like illustrations of different tree leaves or animal footprints, but this all comes alongside loads of practical things that kids can do, as well as additional notes about how you could tailor an activity for younger or older kids. I’ve been building up a bit of a shelf of useful books on things to do with the kids and this is definitely going on that shelf. 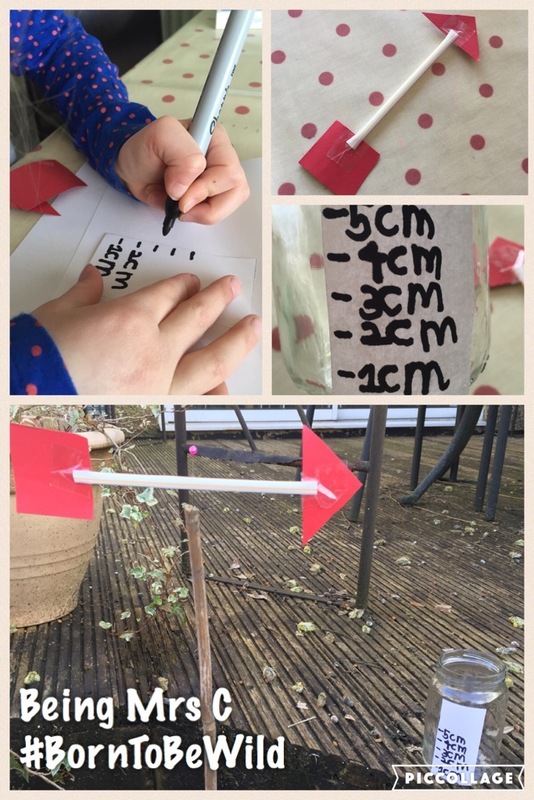 Over the Easter weekend, and inspired by Storm Katie, LMC and I chose a couple of little projects from the book – a weather vane and measuring the rainfall. So inspired was LMC that she then went on to design and make her own bird feeder – a upturned jam jar lid on top of a garden cane. You should have seen the excitement this morning at breakfast when she saw a bird actually eating from it! Disclaimer: We were guests of the RSPB at this event with Hattie Garlick and were given a copy of Born To Be Wild. All views and opinions are my own.